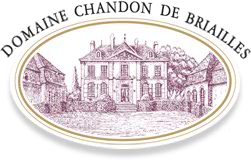 A Premier Cru Aloxe-Corton topographically well placed, beneath the Corton Bressandes and next to the Corton Paulands, both Grands Crus. The soil is clayey at the surface and pebbly limestone deeper down, quite uneven, and this makes for a terroir out of the ordinary. Facing east, just below mid-slope, it provides early ripening conditions. This wine has wild and complex aromas very typical of its terroir. It is a full-bodied and powerful wine. A wine for laying down, it can be kept a good ten years.